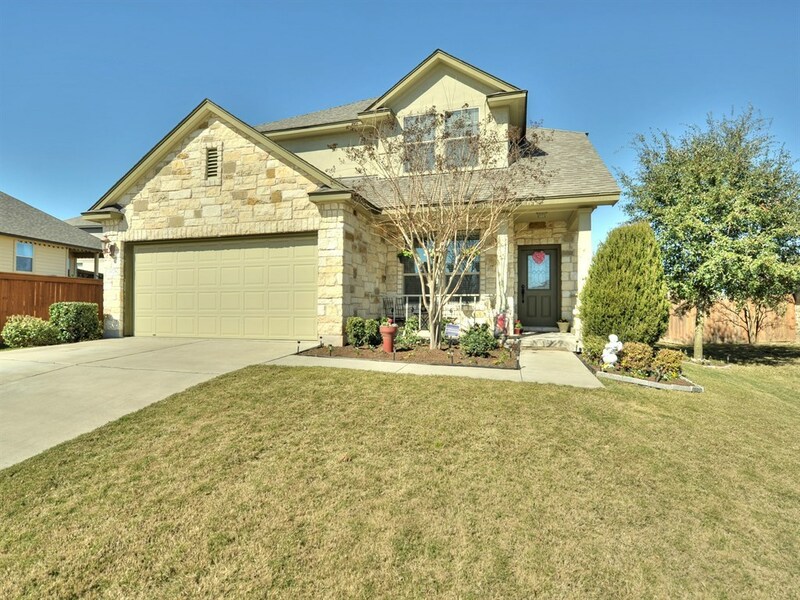 Charming Texas stone and stucco home in Falcon Pointe. The open floor plan of the first floor is perfect for entertaining with its flow from dining room, to living room, kitchen and finally to the covered patio. The kitchen boasts rustic cabinetry, brushed bronze fixtures and all black appliances. The spacious master upstairs is the perfect retreat for R&R with its garden tub. Out back the massive fenced in yard has plenty of options for entertaining and creating your own urban oasis.